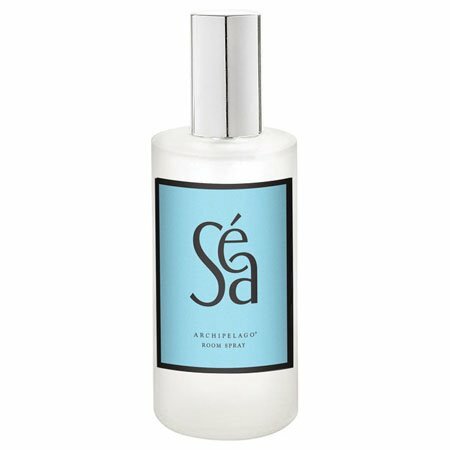 Archipelago Sea Room Spray has a fragrance blend of Sea Greens, Ylang Ylang and Cedar for an ocean fresh scent. Just a quick spray adds wonderful fragrance to your room. Elegant frosted glass pump spray bottle. 3.5 fl oz.